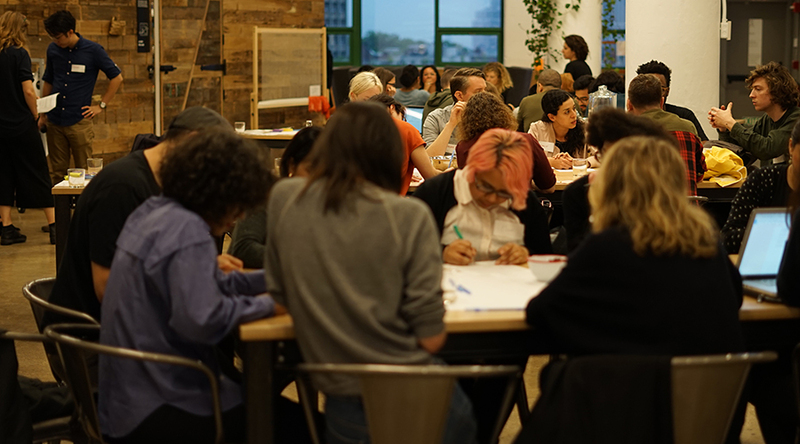 AIGA/NY, a professional membership-based organization for designers, believes that diversity and inclusivity are essential to excellence, achievement, and innovation. 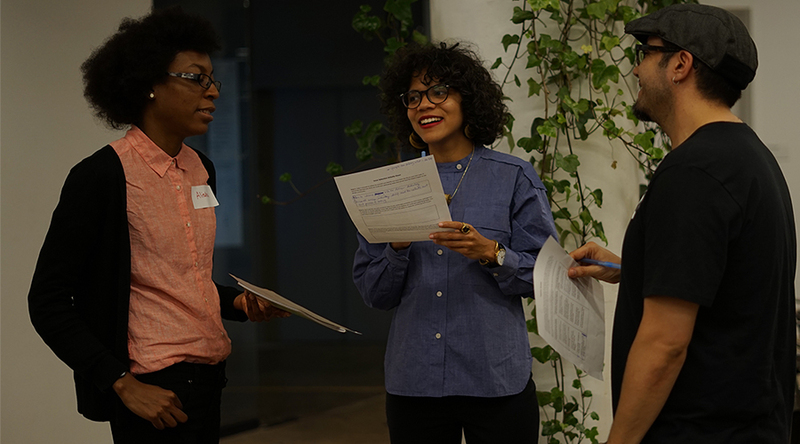 Their Diversity in Design Initiative—launched in early 2017—aims to share, identify, and discuss how the NYC design community can better address issues of exclusion, bias, privilege and inequity in the profession. 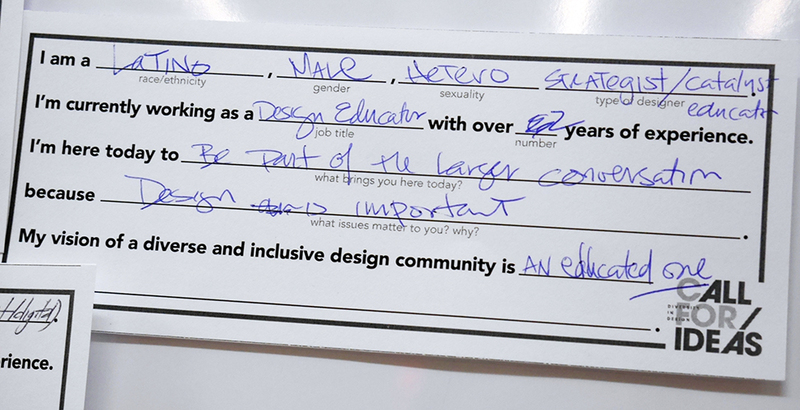 As part of the initiative, TYTHEdesign, in collaboration with social justice educator, Daniel Lim Consulting, led a series of engagements to discuss, evaluate and brainstorm ideas about the community’s contributions as well as its shortcoming surrounding the problem of exclusion. 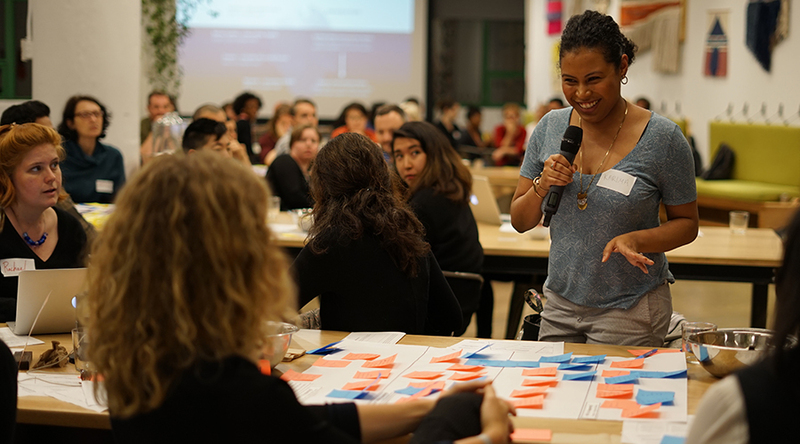 TYTHE designed, developed and facilitated a series of interactive events, unpacking topics as complex as identity, race, gender, sexuality, ability, culture and history, to decipher and contextualize the nuances of stories shared. 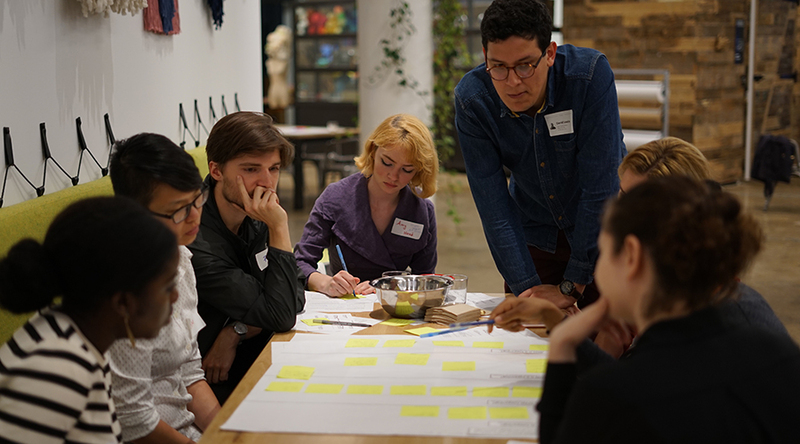 Each of these public-facing events was planned as a progression, beginning with an open discussion about the challenges across the industry, and, over the course of two roundtable discussions, diving deeper to refine and prioritize issues and identifying opportunities for innovation and problem-solving. 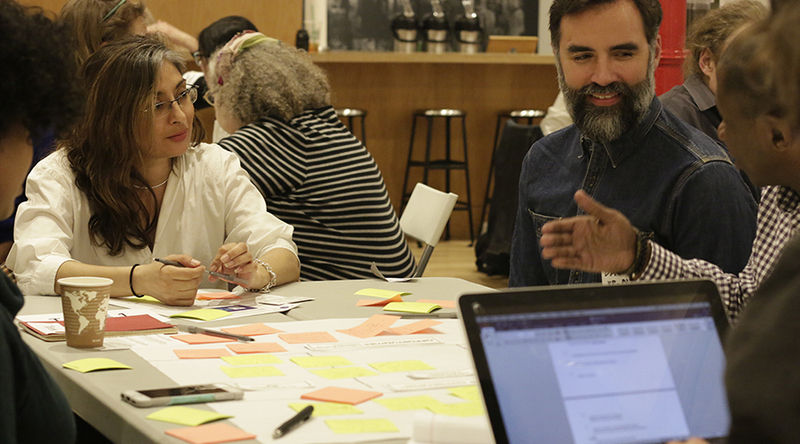 TYTHE designed each workshop to be highly inclusive of all voices in the room, allowing for both individual and collaborative insight to come to light. 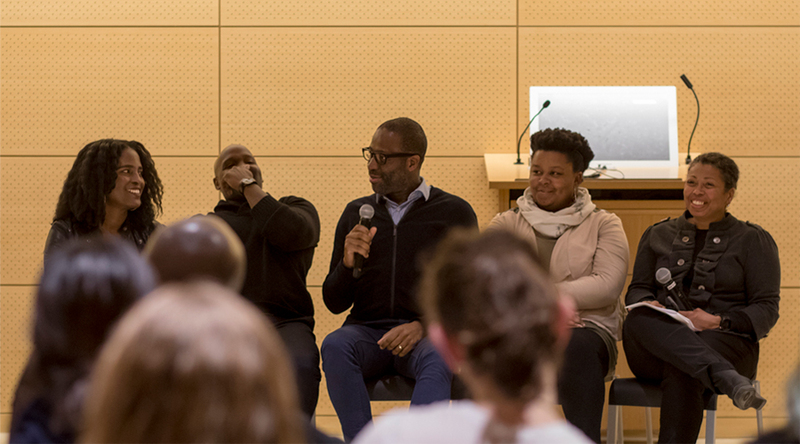 Over the course of the public events, AIGA/NY engaged with over 300 individuals, ranging from students to principal designers to professors from across the profession, representing various walks of life and experiences in the field. Collectively, the engagements established essential needs and areas for action to increase diversity and inclusion. 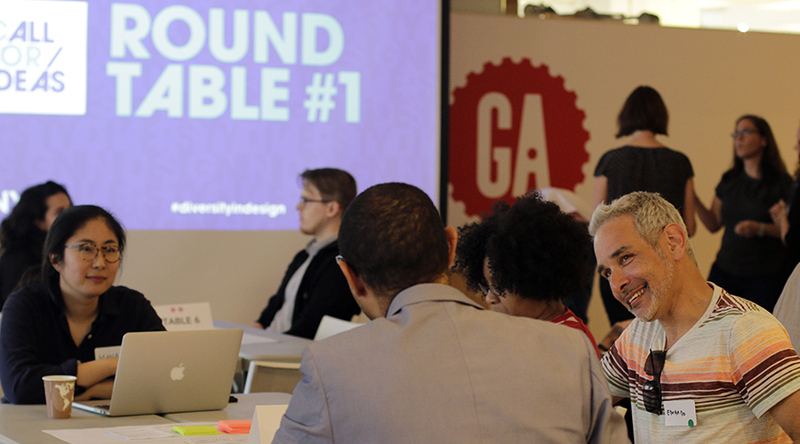 Based on the findings of the Initiative, AIGA/NY is currently producing an RFP, which promotes actionable change. 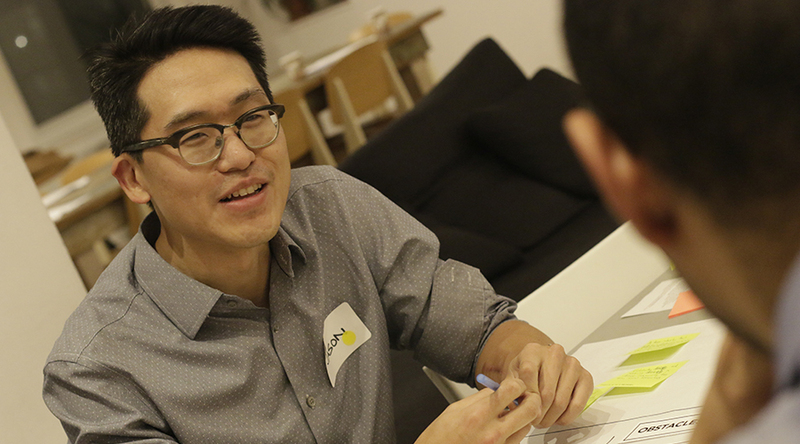 AIGA/NY is committed to providing financial and logistical support to winning proposals.